Little Lifeboats is a Twin Cities based theatre company focused on amplifying underrepresented voices. Little Lifeboats does not discriminate based on gender, race, sexuality, religion, ethnicity or ability. Erin is a founding company member of Little Lifeboats. She is completely unable to take a break from theatre: the last two resulted in the beginnings of TEASE and Little Lifeboats. Erin has been working as an actor in the Twin Cities theatre community for the last ten years. You may have seen her with nimbus theatre, Theatre Unbound, Theatre Coup d'etat, Gadfly, Twin Cities One Minute Play Festival, The Flowershop Project, Cromulent Shakespeare Company, Theatre in the Round and others. 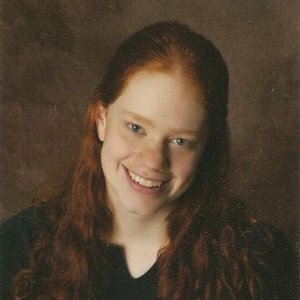 Erin has a BA in Theatre and English from the University of Minnesota-Morris. This website reflects her recent forays into Web design- so please, send her any comments or issues with the site!. You can find her on twitter @peculiarfolly. Victoria Pyan is a founding member of Little Lifeboats and a native of Minnesota. She graduated from the University of Minnesota Morris and the University College of Dublin. In 2012 she joined Erin Denman to create TEASE- The Easy Access Script Experience, an annual event to bring playwrights and local theatre companies together. Victoria has had the privilege to work locally with Theatre Cosmic, Theatre Unbound, Theatre Pro Rata,Twin Cities One Minute Play Festival, Mission Theatre, The Flowershop Project, Maximum Verbosity and Pioneer Place. She has worked on both Little Lifeboat productions, Parhelion and Raise Your Voice (Suzanne Cross): That F---ing Harriet Tubman Play. You can find her on twitter @DowagerVictoria. Abby is a founding company member of Little Lifeboats as well as a playwright, stage manager, sound designer, and producer. Abby is the playwright of Little Lifeboats' first two productions: Parhelion and Raise Your Voice (Suzanne Cross): That F---ing Harriet Tubman Play. She tied for Audience Favorite at the 2013 TEASE Playwright's Showcase with her script Inheritance: Two Hundred Dollars and a Fishing Pole. She is written numerous one-acts and ten minute plays. Behind the scenes, she has worked for Love's Prick Productions, The Wild Rose Theatre, Theatre Unbound, and The Paul Bunyan Playhouse. She has B.A in Theatre Arts from the University of Minnesota, Morris. Clara is a company member of Little Lifeboats. She graduated from the University of Minnesota, Morris in 2012 with degrees in Theatre Arts and German. Since then, she has been fortunate enough to stage manage Little Lifeboats' first production Parhelion, as well as work with The Phipps Center for the Arts, CLIMB Theatre, and Theatre Pro Rata, where she is also a company member. You cannot find her on twitter.